Many self-directed IRA investors choose to put their money to work in various forms of private lending transactions. Being the bank can be a great way to hold a secure asset that produces consistent returns over time. As with real estate investing itself, there are many types of lending transactions that one can engage in with a self-directed IRA or Solo 401(k) plan, and various considerations one should make in determining if and how to approach these types of opportunities. Notes come in many forms, but for the most part represent a contract for a borrower to pay a lender both a return of principal and interest for access to capital. Most notes are secured by an underlying asset pledged as security by the borrower, though a note may be unsecured. That underlying security is the lender’s hedge against the borrower’s potential failure to repay the loan, and generally what makes private lending one of the more secure types of investments. This is especially true when the security is a real asset like property. If the borrower fails to meet their contractual repayment obligations, the lender has several remedies including taking the property in lieu of payment or foreclosing on the property. Notes are appealing for many reasons, including the security provided as well as generally predictable return on investment. Notes are also relatively simple to administer, and it is easy to invest in notes while remaining compliant with IRS guidelines that apply to IRA and 401(k) plans. There are two main approaches to acquiring notes for your self-directed IRA or Solo 401(k) plan; the plan can originate the loan directly with a borrower, or you can go through a note broker to acquire notes (in whole or in part) they have originated. A common strategy for real estate investors is to network within their local investor community and find suitable borrowers to lend to. This may include attending local real estate clubs or meetups as well as conversations with real estate agents and title companies. There are always folks out there creating good real estate deals that need capital to come to fruition. This type of direct lending with your plan can put you in greater control of the whole lending process; selecting the borrower, performing your own diligence on the borrower’s project and business plan, and negotiating the terms of the loan. Of course, one investor’s idea of flexibility and control may be viewed as a burden by another investor. Such control comes with the responsibility to actually do all the work necessary to ensure the success of your venture. 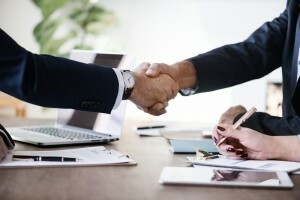 Investors who may not have the time or expertise to underwrite their own loans often choose to seek out a loan broker. There are many professionals throughout the country that source and sell various forms of notes. In this case, the investment opportunity is prepared and delivered by the provider, and you simply need to execute the contracts on behalf of your plan. Of course, thorough diligence is still required, and you will want to be sure you are dealing with reputable parties, check references, ensure that you see properly recorded note documents, and perhaps even confirm the property or other asset securing the note. In this type of note investment, you can step into someone else’s successful business model and minimize your involvement to some degree. Of course, such note brokers need to be compensated, and this will generally reduce your potential income as the broker takes their cut in some fashion. In some cases, there may be more than one note secured by a single asset such as a home. Each such note will be in a specific position with regards to their claim in the event of a default – 1st, 2nd, 3rd, etc. A 1st position lien is always the most secure, as you will have the primary claim to the asset. A lender in a 2nd or later position is at greater risk, as they would have nothing if the seized value of the asset is less than the 1st position lender’s claim, which is not uncommon. A 2nd position lender may need to buy out the rights of the 1st position lender in order to seize an asset, for example. Be sure you carefully evaluate any situation where your plan is not a 1st position note holder. A potentially lucrative form of note investing involves buying up debt instruments that are non-performing -meaning that the borrower is behind on payments. Such notes can often be acquired at a significant discount from the open balance. You can then work with the borrower to restructure the note terms and restore payments, let them out of the obligation to pay in exchange for the asset, or execute a foreclosure. When using IRA funds, one should initiate such notes by using a 3rd party broker, as the work necessary to generate such opportunities and perform the necessary resolution work is beyond the scope of simply administering plan investments. Such work requires sufficient time, resources and expertise that for you to conduct these activities yourself would likely be viewed as providing services to your plan. Whenever investing with your checkbook IRA LLC or Solo 401(k) plan, you need to keep the IRS rules in mind. This means executing all transactions in a manner that is exclusively for the benefit of the plan, and avoiding any self-dealing or dealing with disqualified parties. There are basically two key concerns with lending. Don’t lend in any fashion directly or indirectly to a disqualified party such as yourself, close family, or family held entities like businesses or trusts. Make sure your loan complies with the lending laws of the state where the loan takes place. This latter concern is not specific to the IRA, but simply a general issue for all lending transactions. In addition to these primary considerations, you will also want to ensure that your plan meets any necessary obligations with respect to borrower documentation. Depending on the nature of the loan, this may include pre-loan disclosures, reporting of interest payments such as a 1098 filing, and the like. Another concern is licensing. In many states, there are restrictions on who may act as a lender or certain licensing requirements to act as a lender. Many factors such as the type of loan, number of loan transactions, etc. may impact licensing requirements. Be sure to consult with a licensed legal professional familiar with the laws of your state. Whether a loan is to a rehabber for a property flip or a businessperson for some new equipment, the mechanics of executing a transaction are largely similar. Create a contract: This may be a mortgage and deed of trust or a simple promissory note, and may be secured or unsecured. There is considerable flexibility with respect to terms of payment such as interest, time to repay and the like –so long as the terms comply with state law. It is recommended that you work with a licensed professional to draft a suitable note for your purpose that is compliant with state law, enforceable, and clearly outlines the terms. An attorney or note servicing company may be a good resource. The IRA-owned LLC or Solo 401(k) trust will be the lender. You will execute the note on behalf of the plan in your role as the LLC manager or 401(k) trustee. Record the contract: While there is no requirement to have a note recorded, it is in your best interest to do so and strongly recommended for reasons of enforceability. Even if you have strong trust in the borrower, things happen. Borrowers die, go through bankruptcy or divorce, or otherwise become unable to fulfill their obligations. Recording a note creates a public record of your claim against the asset(s) serving as collateral for the note. Fund the Note: As the signer for your plan, you can issue funds to the borrower or escrow directly from your plan account. Receive Payment: All payments should be tendered to the IRA-owned LLC or Solo 401(k) plan. Payments can take place in a variety of ways including checks, direct deposit, etc., so long as the funds are issued to the plan. Release: Once the loan has been paid off, the plan needs to release the lien and transfer unencumbered title for the underlying asset to the borrower. While it is possible to self-administer basic note investments on behalf of your plan, engaging the services of a 3rd party servicer can be a good idea for several reasons. Having a 3rd party processor will definitely insulate you from any concerns related to providing services to your plan. It is allowable for you to administer plan investments, but there are reasonable limits to the amount of time and resources you may provide without crossing a line that could be viewed as adding value to the plan via the provision of services. A portfolio with a few static notes would likely not be an issue. If your plan holds a large number of notes that turnover regularly, the administration could become quite involved, however and handing things over to a 3rd party would be advisable. A professional note servicer will also help ensure that you are operating in a fashion that is compliant with state law, as such firms are going to be well versed in such matters. This is especially important with respect to borrower communications, disclosures, and reporting. and add relatively secure assets with consistent returns. If you have an interest in exploring the concept of investing in notes with retirement funds, please feel free to contact us. One of our expert advisors will be happy to evaluate your specific situation and goals and provide appropriate guidance. Investor education is our top priority. As with any investment, there is risk associated with investing in notes and other lending transactions. Before investing, you should ensure you have the financial ability and experience to gauge and understand the risks, perform the necessary diligence, and properly administer such investments in compliance with both state lending laws and the federal tax code relating to IRA and 401(k) retirement plans. Safeguard Advisors, LLC is not an investment advisor or provider, and does not recommend any specific investment. We provide properly structured self-directed retirement plan platforms that provide you as the investor with full control over investment decisions. The information above is educational in nature, and is not intended to be, nor should it be construed as providing tax, legal or investment advice.